A PHProxy theme from FreeProxyTemplates.com. Described as Proxy Template #6. Click Here to learn more about this PHProxy theme and template. 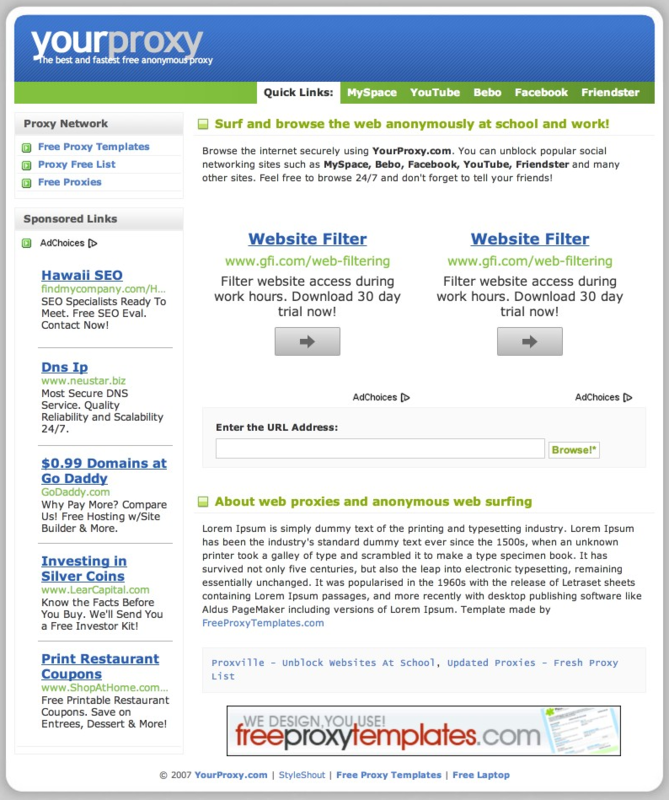 This proxy theme was downloaded over 5,500 times when we visited this PHProxy template download page. The licence and link removal via that this proxy theme creator is charging is a $10 one time fee per domain. This entry was posted in PHProxy on May 27, 2013 by adtrixadmin.